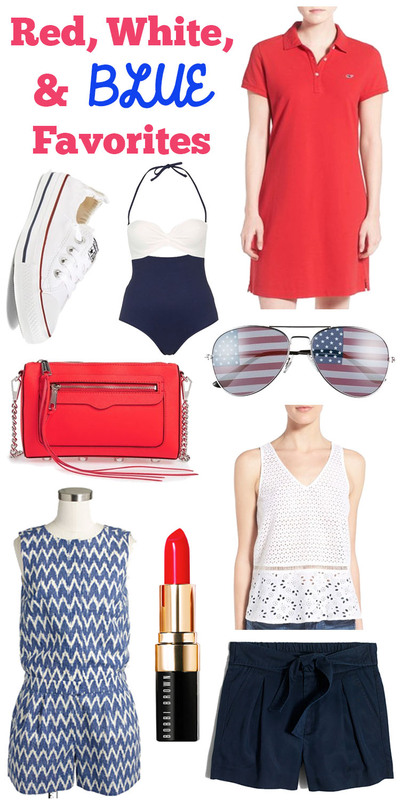 Red, White, & Blue Favorites for 4th of July! Happy Hump Day y’all! I was almost giddy putting this post together because I love patriotic goodies so much! This may sound super cheesy, but I am so proud to be an American and I love celebrating our great nation. 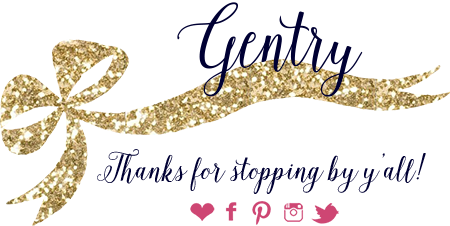 So it’s no surprise that I can’t wait for the 4th of July and am sharing some fun finds to get y’all ready too! Time to bring on the watermelon & fun in the sun! I am obsessed with my everyday aviators, so I think these flag aviators would be perfect for your BBQs and beach days. I love this eyelet tank paired with flattering denim shorts; of course adding a red lip is about as all-American as it gets! If you’re taking in a baseball game, this chevron romper + converse shoes will help you cheer on the home team, while a hands-free cross body ensures you can double fist hot dogs (at least that’s what I’d be doing)! I need that chevron romper stat! All of these picks are perfect! Great Fourth of July Inspo! I always celebrate the fourth at my grandparent's lake house. I love the chevron romper, it would be perfect for the fourth of july! Thanks for sharing all the inspiration! I'm loving those tie front shorts! Too cute. We're attending a wedding on 4th of July weekend on the beach so I'm trying to incorporate a little red white & blue into what I'll wear. Gotta be a little patriotic since it's the weekend of the 4th!